Uber’s chapter in Singapore was believed to be closed since the merger in 2018 transferred all of its Southeast Asia operations, namely the ride-hailing and food delivery services, under its rival, Grab. Since then, it’s been quiet about Uber in these parts of the world, save for talks of how its employees were affected by the sudden change, and what the firm is up to on the other side of the globe. 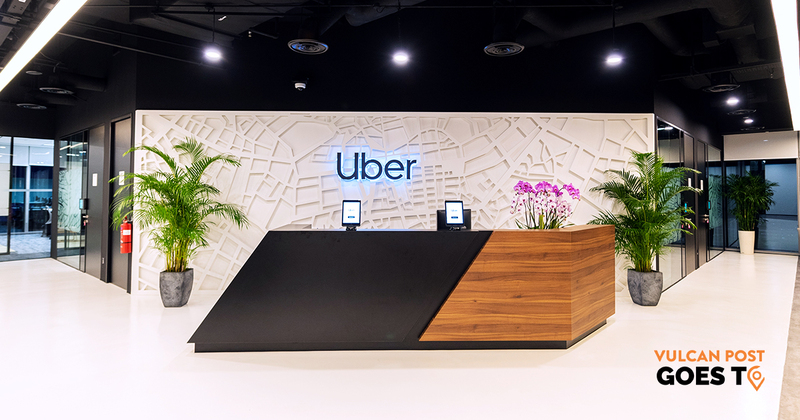 Now, a year after the merger took place, we were slightly taken aback when Uber extended an invitation to us to visit their newly opened Asia Pacific Regional Hub. 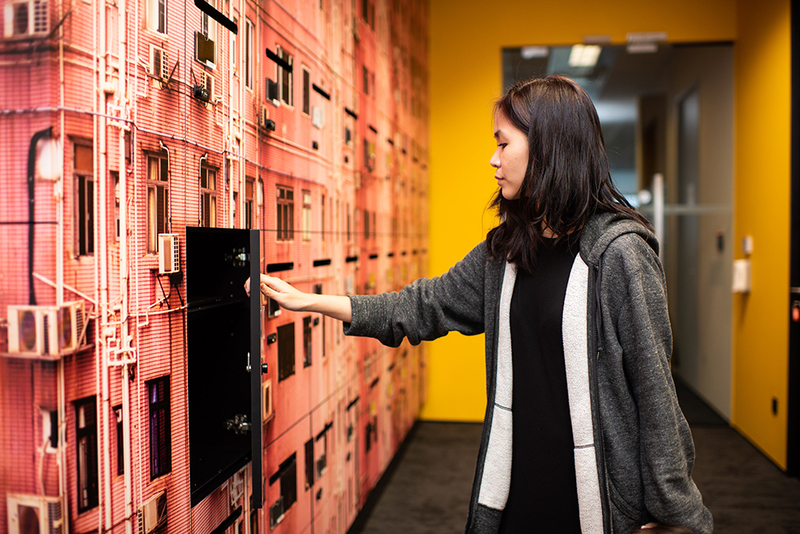 At Frasers Tower in the heart of Tanjong Pagar, Uber’s APAC Director of Communications Amy Kunrojpanya takes us through the new 2,000 square metre site that’s currently home to 165 staff. Addressing questions from the media, Amy cleared the air and explained that Uber has never left us—at least in terms of running a headquarters. But she says they’ve “taken due diligence” and came to the decision to retain their regional hub that existed here even before the acquisition. 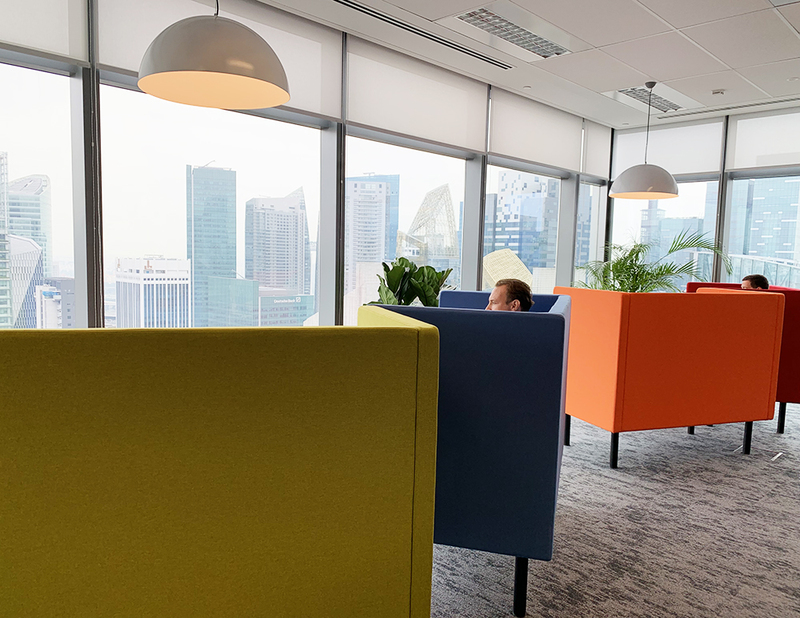 “[Singapore] is an amazing talent hub for us, both in terms of people who are already part of our team, and also our ability to attract and export talent across the region [from here],” Amy says. 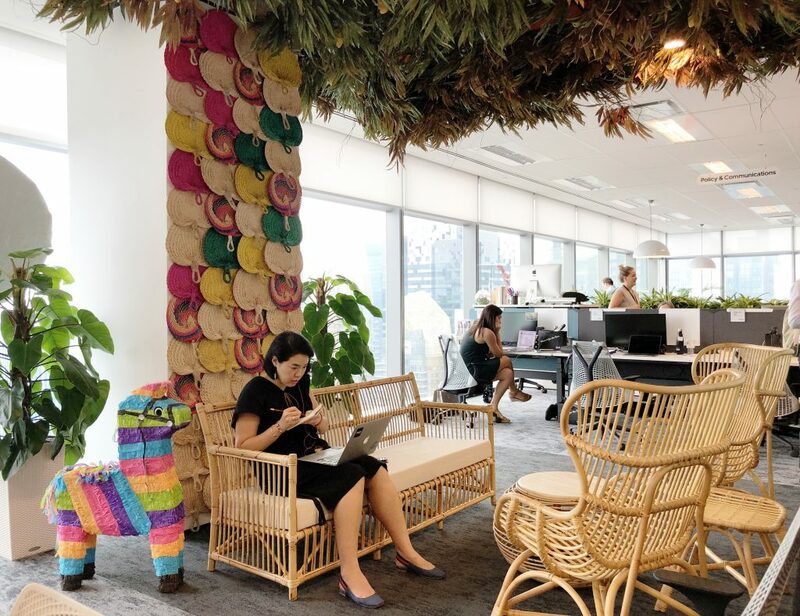 To that, she also adds that Singapore’s “progressive environment”—the way policies are created, and the activities in startup and tech communities—is another reason that they’ve chosen to stay. “We don’t have plans to relocate the hub. We are very clearly committed to Singapore. 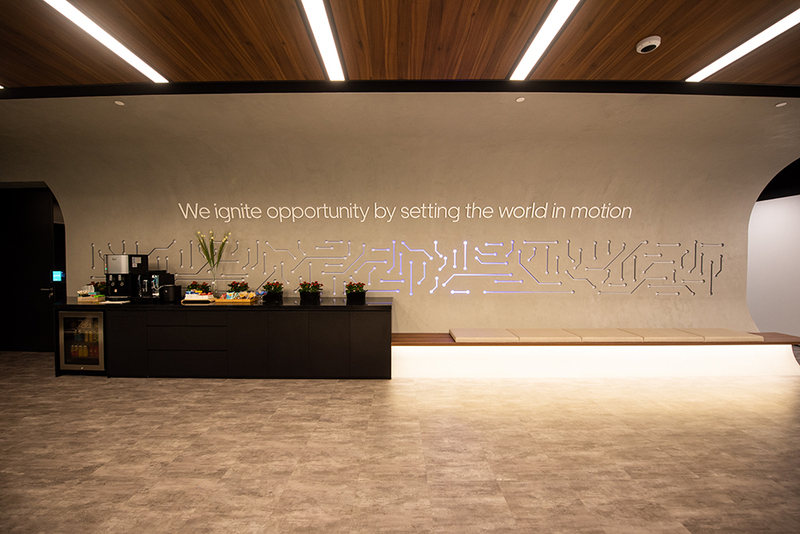 Headed by Uber’s Chief Business Officer Brooks Entwistle, the hub manages operations in 9 countries around the region, including Japan, Hong Kong, Taiwan, India, and Australia. 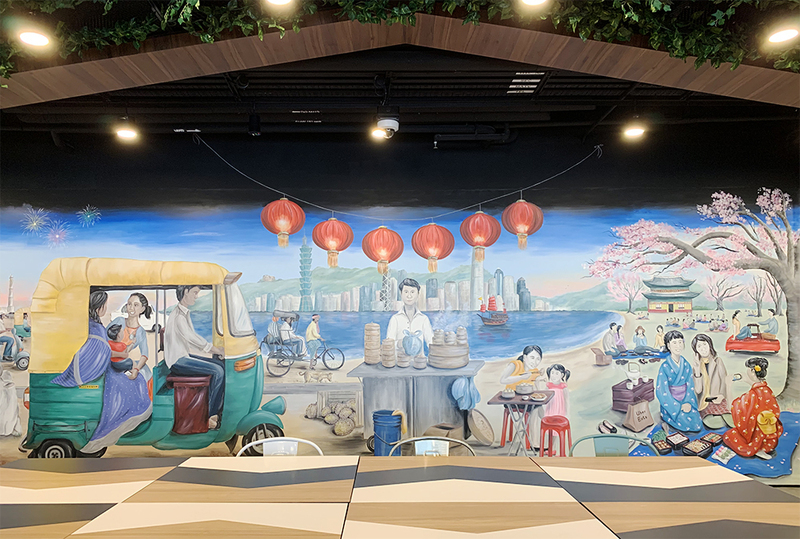 As a central place that looks over these markets, the Regional Hub is designed with a touch of each local culture. 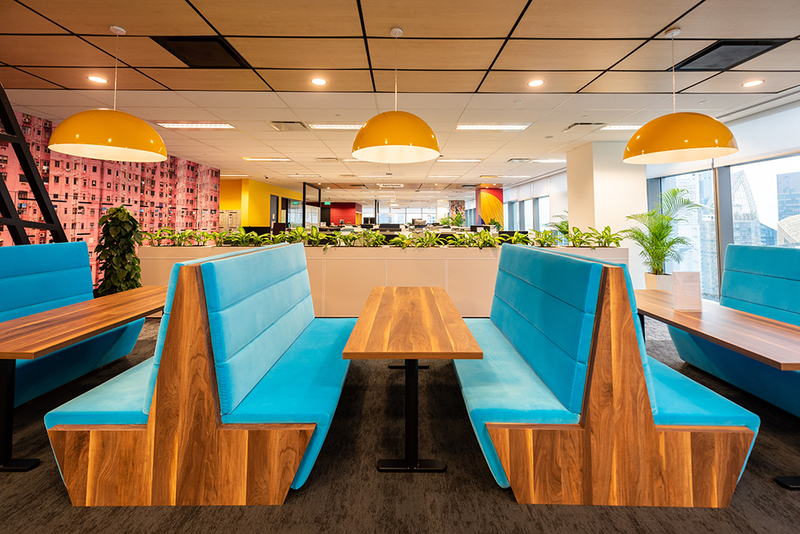 Between rows of working desks, common areas break the monotony, each featuring cultural elements from one of the countries Uber has a presence in. 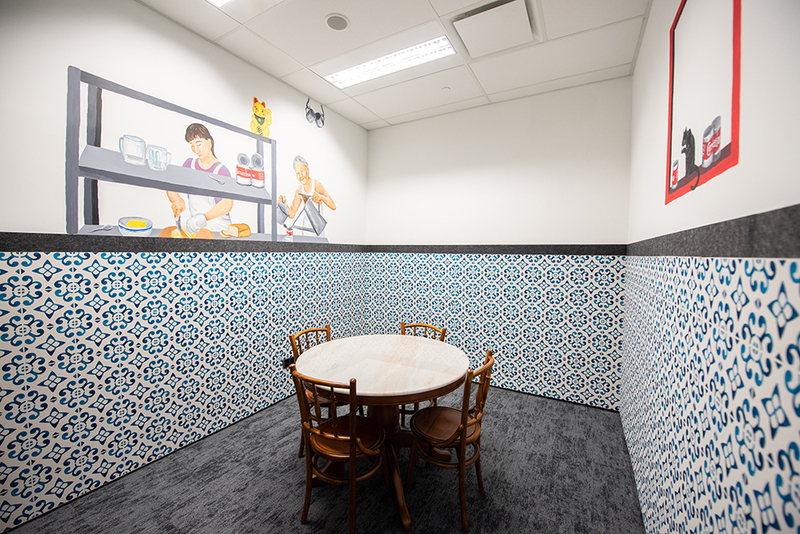 While employees can rest and relax in the themed ‘mini living rooms’, each of these areas is also equipped with white boards so discussions can take place anytime. 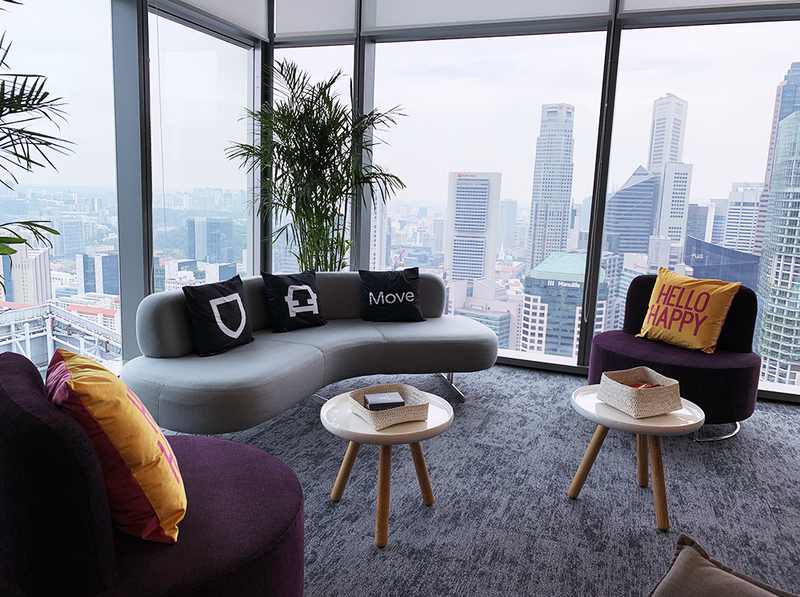 Out of its floor-to-ceiling windows, the hub has a bird’s eye view of Tanjong Pagar and Chinatown, an area that has been home to Uber since the company’s earliest days coming to Singapore in 2013. They’ve saved some of the corners of the office as lounging spaces, so that no one gets to hog the best views for themselves. 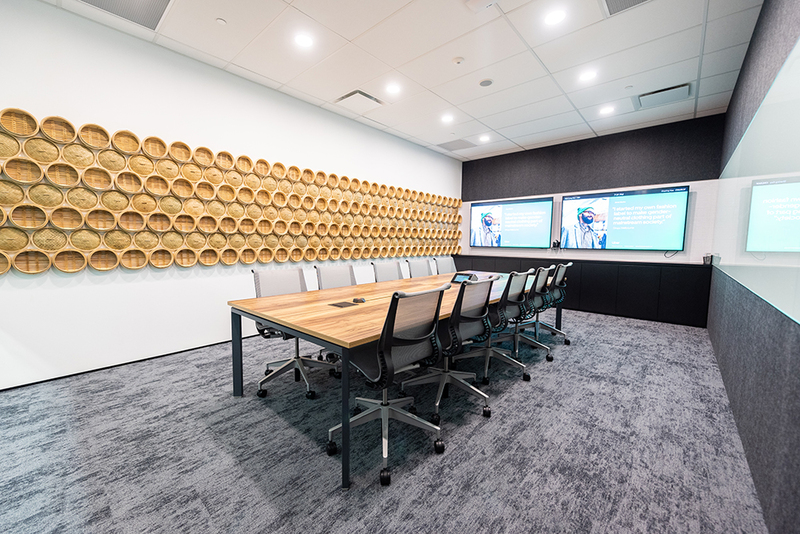 There’s a trend among tech and startup offices these days, such as Facebook, Google, and WeWork, where playful names are coined to give meeting rooms a taste of locality and a human touch. 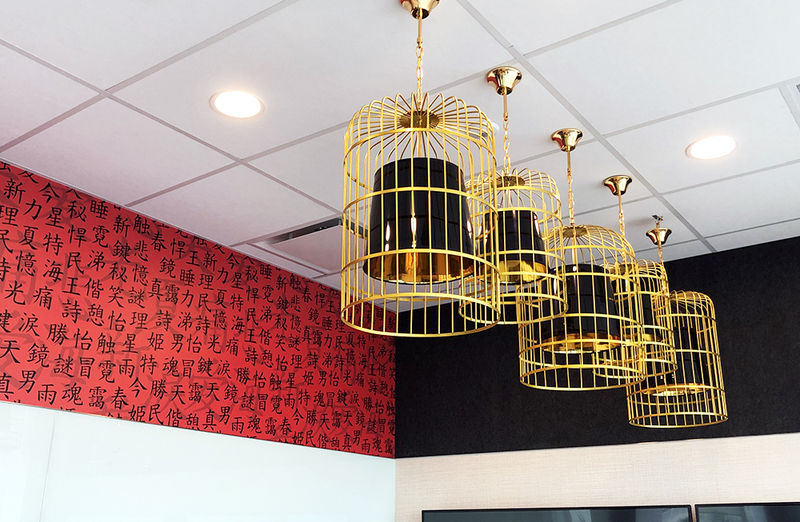 Uber’s new location takes a leaf out of this book as well, giving its 17 meeting rooms quirky names like “Laksa”, “Mee Pok” and “Xiao Long Bao”. 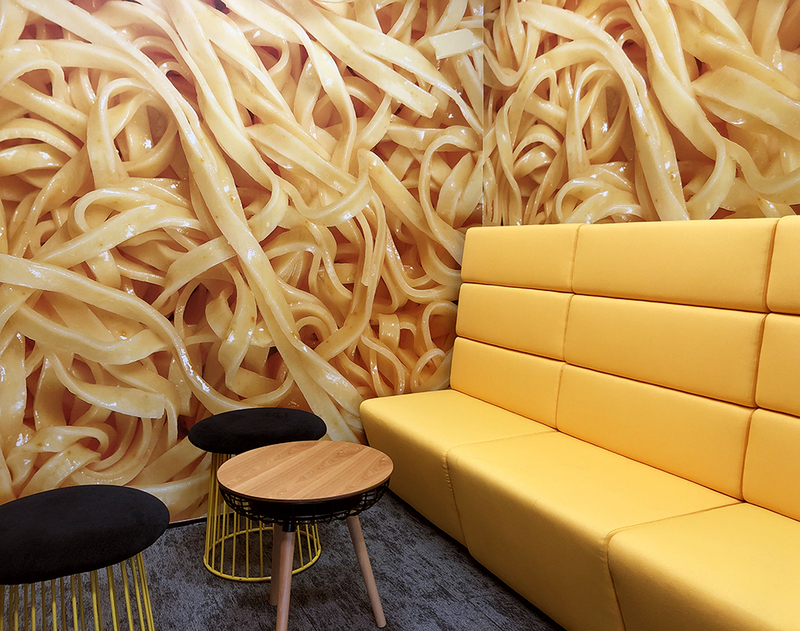 The emphasis on food is far from subtle, and alludes to UberEats as one of their core products that grew rapidly around the world. However, a couple of rooms also give nods to other icons in Singapore. 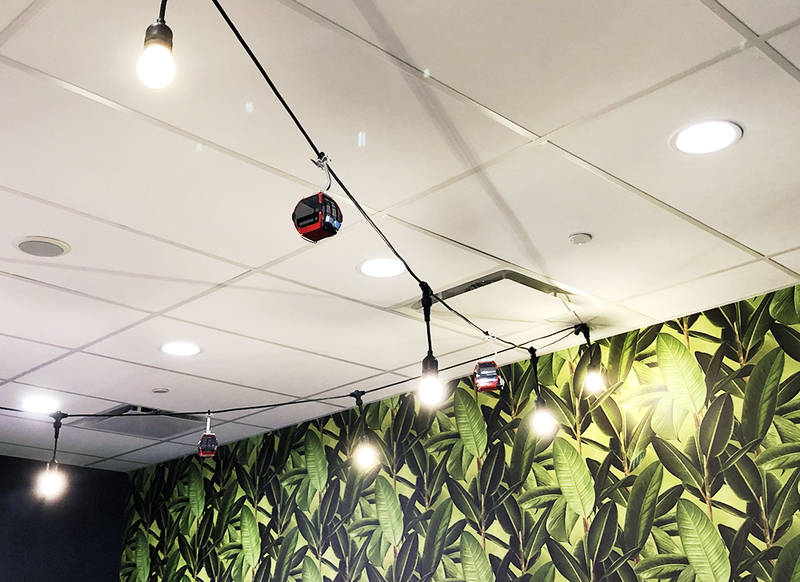 Amy tells us that the folks working at Uber, who come from diverse backgrounds, all had inputs into the office’s design features, especially providing details from their own home countries. 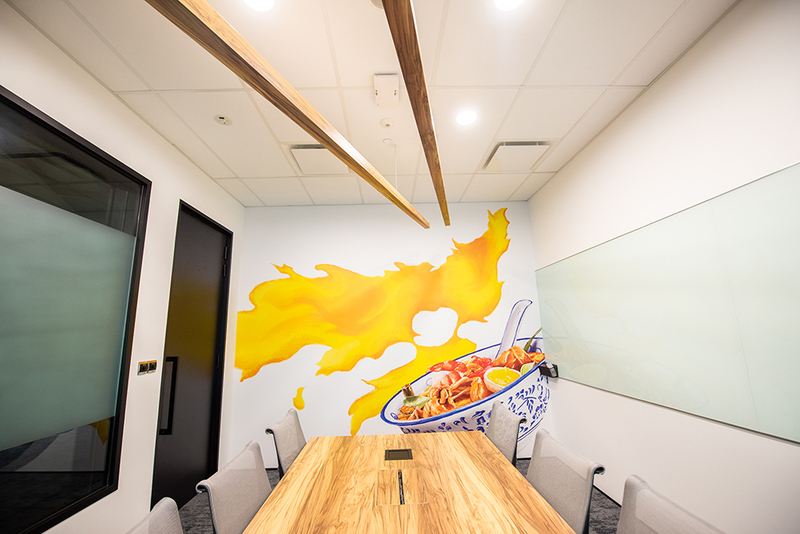 Some would help Uber’s artist-in-residence suss out the elements that went into a mural that runs along the wall of their dining space. 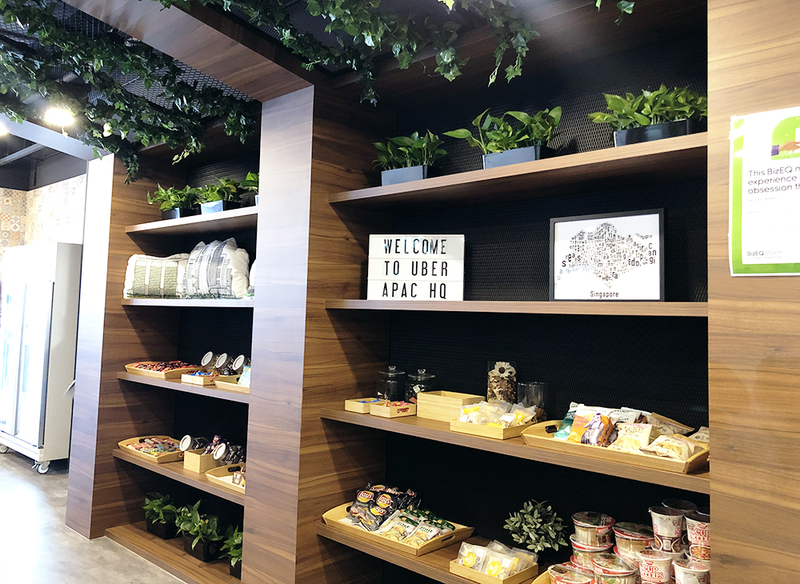 While Uber’s workforce certainly took a hit in Singapore, and plummeted from its previous high of having “hundreds” of staff members, Amy shares that they’re continually hiring. 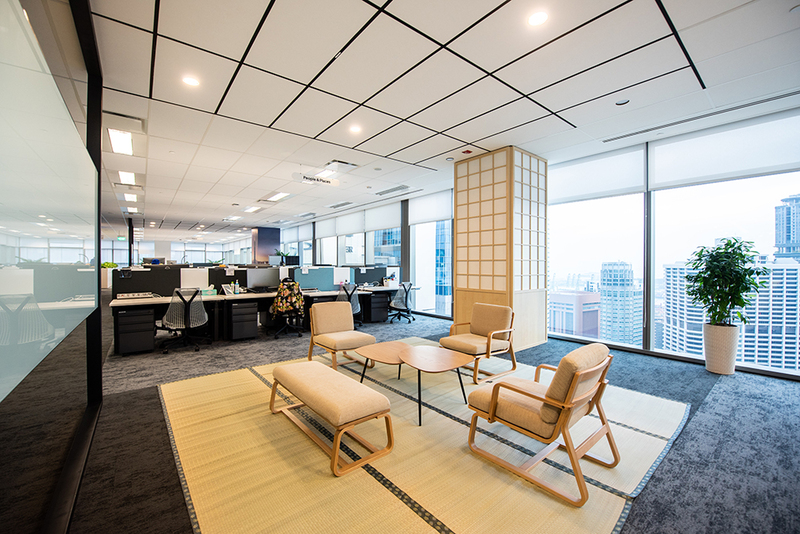 The firm has about 4,000 employees across APAC, and gained 780 new hires for the region in Q1 2019 alone. They aren’t revealing how many positions the Singapore HQ plans to fill. However, various job postings for roles like finance, project managers, business development, and fraud analysts, can currently be found online.